Posted on April 17, 2011 by Kristen. Still singing and dancing to music from last night’s adventure at The Troubadour. Ben Rector and Matt Wertz were both fantastic, bringing me back to my days of Tyler Hilton, Gavin Degraw, and that ilk. I spent a lot of time in 2004-5 this week between last night and Weds night’s venture to The Hotel Cafe to see Fall Out Boy’s Patrick Stump busting beats with his new solo tunes. The highlight of last week, however, was Biffy Clyro down at The Belly Up. I cannot be effusive enough in the written word to describe the experience, so I won’t even try. Let’s just say this week has a lot to live up to. If I could pick just one show it would be Thursday night at Molly Malone’s. Zane Carney (of my very first LA band love, Carney) is in town from NYC where he, as well as the rest of the band, have been very busy with the new Spiderman musical. Zane’s playing three sets; the first with a jazz band, the second with his sister Paris Carney, and the third with Stephen Hovsepian as a duo, Great Work. I am excited about the music (Zane is a master of the guitar and always a pleasure to watch), but I’m also excited about catching up with my Carney family, the first group of people I met when I moved out to LA, the majority of whom I have not seen since Carney departed. Posted on April 6, 2011 by Kristen. I’m still working on my annual SXSW Mix. It’s shaping up to be mostly new artists that I’d never heard of before or that really came to my attention at SXSW this year. As excited as I am about all my new discoveries, it occurred to me that some of my very favorite experiences of the festival aren’t represented. 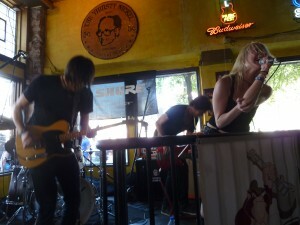 As such, I was inspired to make a separate list of my top 10 sets of SXSW ’11. It was their first set at SXSW and I was just SOOOO excited that they were there and that I was there and that everything was happening. The venue itself added the additional bonus of watching Lauren masterfully deal with an awkwardly placed banister AND allowed me to watch all the people walking past, stopping, and being drawn to the window by the music…LOVE watching new people fall in love with my favorite bands! It was a SXSW moment for sure. 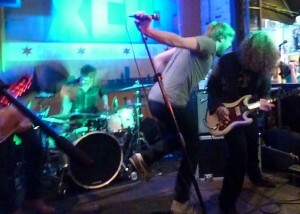 I saw The Silent Comedy more than any other band at SXSW. Each set they did was slightly different but their final show at Antiquiet’s The Axis of Audio showcase was the most unique, featuring some new tunes as well as other songs not found in their typical setlist. It also helps that the set was dedicated to me (and Amanda and our TSC gang). Empires was one of the bands I was most looking forward to seeing play. They had grabbed my attention when they played in LA with Biffy Clyro and seeing them in Austin reminded me why I loved them so much. The way the band, especially singer Sean Van Vleet connects to the audience, drawing them in with an intense energy…it was one of those sets in which I became completely lost in the music. You know I love The Kin. 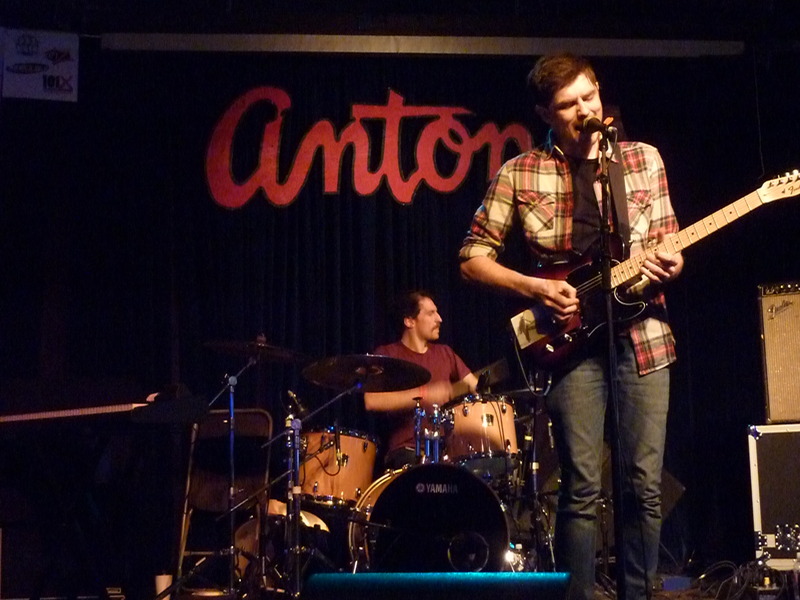 Their performance at Antone’s was one of the most memorable of the week. 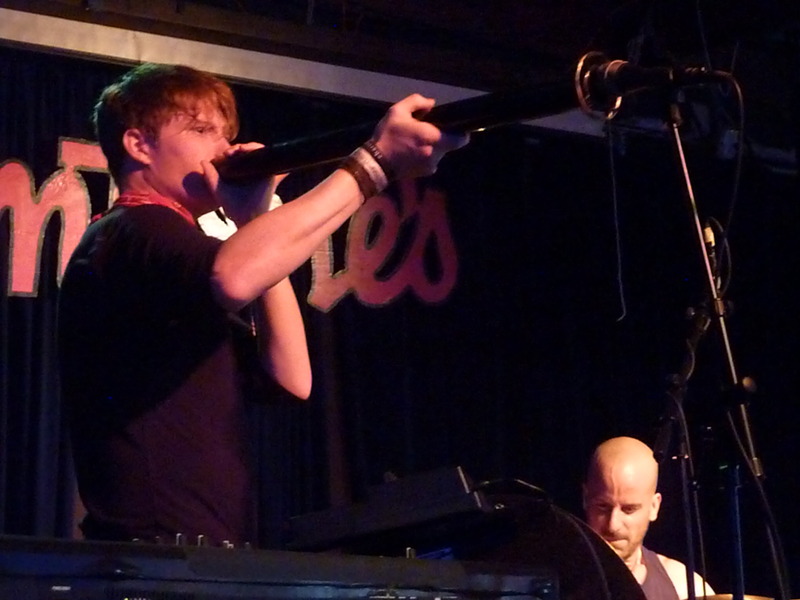 I finally got to hear some of their new material, the audience was completely enraptured especially when they got off the stage to come sing a song on the floor, and Isaac managed to “re-create” his didgeridoo using some sort of pipe that could be found out in the street. When they played “Waterbreaks”, I was SO happy to be seeing them play again (it had been awhile…they’re based in NYC), it brought tears to my eyes. 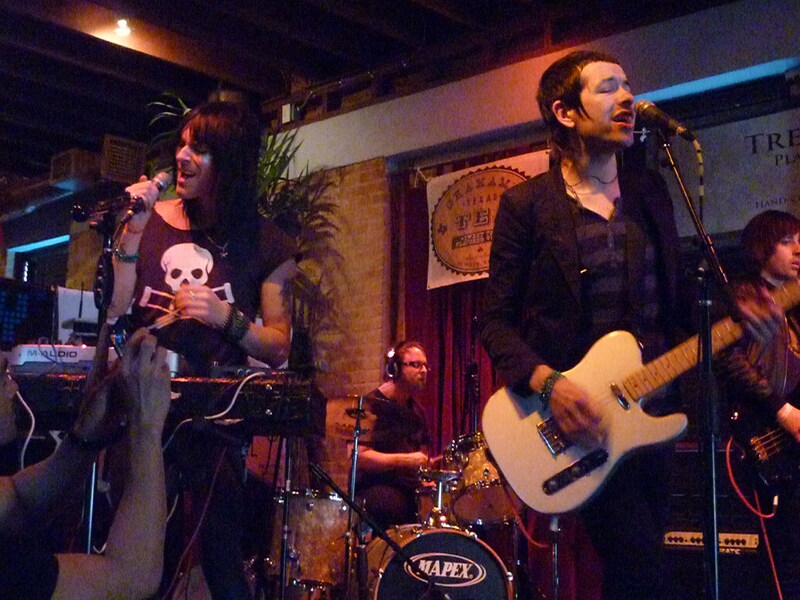 I had NO CLUE that Doll & The Kicks was even going to be at SXSW, let alone be playing at the British Invasion showcase I was attending on Thursday. It was the best surprise of the week! Their new song “Skeleton” is fantastic and must be downloaded now…! 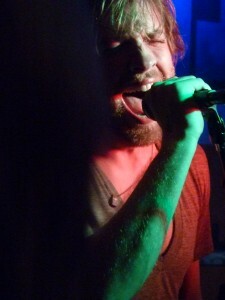 I had never seen AWOLNATION before, but I’d been enjoying their tunes. I liked the band, but what really gets this set on my top 10 list was the intensity of the audience. I love being swept up in that kind of energy…it was insane without me ever feeling physically threatened. The perfect audience. When they played “Sail”, I was taken to another place…and I couldn’t even really see the stage! Most of the bands on this list are ones I’d seen (or at least known) before SXSW. It’s easier to really get into a set if you know the songs. But Twin Atlantic I had never really heard of before arriving in Austin. I had come across one of their tunes and that was enough to put them on my watch list. 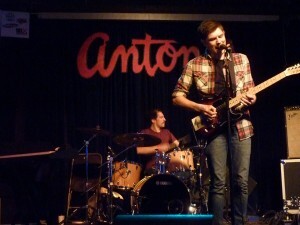 By the end of their set at Antone’s, they were my fave new discovery from SXSW. Tuesday afternoon, before the music festivities officially began, we gathered to go see Viva City at The Dart Music International House. I saw this UK act several times over the course of my stay in Austin, and each time it was a crazy fun dance party, but this very first set marked the beginning of my SXSW experience and it will never be forgotten. That whole evening at St. David’s Sanctuary (one of the Hotel Cafe showcases) was quite magical (see story), but I think my favorite set of the bunch was Brian Wright’s. It’s hard to describe why the set moved me so much. I have seen Brian play plenty of times, but something about this place and time and my specific mood really elevated his performance and songs. It was truly a perfect SXSW moment. Seriously, is it time for SXSW 2012 yet? Do You Know: Kill The Alarm? Posted on March 8, 2011 by Kristen. I would call this a new band love post expect I’ve been following the music of Garen Gueyikian since 2004 when he’d frequent The Point in Bryn Mawr, PA. Back then he would go by the name Granian. He had just released a CD, On My Own Two Feet. Songs like “My Voice” and “Contagious” really spoke to me and his live shows never failed to captivate, as each show seemed to offer a fresh perspective on the songs I quickly came to know and love. In 2006, Garen started playing under the name Kill the Alarm. Kill the Alarm released Fire Away the next year and I was thrilled to add more tunes to my collection, which by this point included several CDs and EPs dating back to 1996. Being based in NYC, I haven’t seen (or really heard much from) Garen or Kill the Alarm since I moved out to California. But TODAY, I discovered that Kill the Alarm not only has a new EP in the works, but has, for download, a collection of cover songs including the K’s Choice tune “Not An Addict” (LOVE!). I am very happy right now listening to this tune as well as my old Garen faves, so of course I needed to share! Go check out Kill the Alarm and download The Covers today! Posted on May 11, 2010 by Kristen. The release falls in the midst of a little tour…to get your taste of Carney live (trust me, you’ll love it), see if they’re coming to a town near you. And if you live in LA, I really hope you can come to The El Rey this Saturday to see the boys put on their last hometown show before heading of to NYC. Posted on May 9, 2010 by Kristen. It’s Carney Week! Saturday is their big show at the El Rey. They are moving to NYC (yes, it’s really happening this time) to be a part of Spiderman on Broadway. They will be gone for awhile. As the first local LA band I fell in love with, this is a big deal to me. The apocalypse could be coming and I would not miss this show. Their first full length CD, Mr. Green Vol. I, also comes out this week (May 11th). So even if you can’t come to the show on Saturday night, you can still celebrate Carney week, by going out and getting a copy of the CD (you’ll want an actually copy as the artwork is brilliant). ALSO: The Like FREE at The Echo (10pm)…they’re back! And they’re doing a month long Monday night residency!! CARNEY WEEK: listen to their EP Nothing Without You and Reeve Carney and the Revolving Band Live at Molly Malone’s CD and celebrate the Carney that was. Also, go to bed early, falling asleep to “Think of You”. CARNEY WEEK: get up bright and early and bust down the doors of your Local Best Buy to pick up a copy of Mr. Green Vol. I. Listen all day long. CARNEY WEEK: introduce the new Carney CD to all of your friends.